Hledáte tlustý, silný = thick? 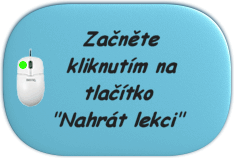 thick=tlustý, silný watch=hodinky big=velký head=hlava eye=oko mouse=myš foot=chodidlo desk=lavice toothbrushes=kartáčky na zuby Listen.=Poslouchej. My name is ...=Jmenuji se ... red=červený dog=pes Hi.=Ahoj. toothbrush=kartáček na zuby it's, it is=to je, je mouth=ústa board=tabule It means ...=To znamená ... nose=nos Write.=Napiš. new=nový Where are you from?=Odkud jsi? under=pod Sit down.=Sedni si. Použití pojmu thick ve větách. The air seemed solid, it was so thick with the smell of ancient earth. His legs were abnormally thick and stumpy, and his arms were not long. The street six floors below was thick with traffic and people. The little rivulet of blood had thickened into a stream. His accent was thick, but the question was quite clear. The twenty second letter was thicker.